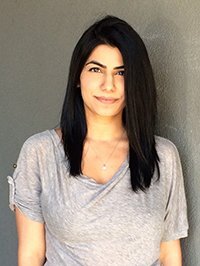 Celena has recently completed her Environmental Engineering Bachelor Degree where she pursued the Energy and Air Quality streams at BCIT and she has completed BCIT’s Architectural Building and Engineering Technology Program. During her studies in ABET she gained great interest in Building Sciences, specifically building envelope systems. She recently presented thermal bridging issues in building envelope systems at the 2015 EcoCIty World Summit held in Abu Dhabi, U.A.E. in the fall. After exploring the industry for a couple years in project coordinating, estimating, designing and some consulting, she is very excited to take what she has learned and successfully deliver projects as a Technologist. She is considering pursuing her Masters of Architecture but in the meantime she wants to build her experience with the Thinkspace Team. Having grown up in the Pitt Polder region, Celena enjoys being outdoors. She can be found kayaking, going for a run or exploring the mountains on a hike. She also loves to travel and being exposed to the world’s diverse cultures and architecture. Also, in her spare time she likes to draw, play soccer, and watch football and hockey.